Mental health may seem like a buzz phrase today, but in the UK, suicide is one of the biggest killers of men aged between 25 and 44. Male suicide runs at three times the national average of female suicide (based on ONS figures) and is a cause of great concern, not just for hospitals and families, but for society at large. 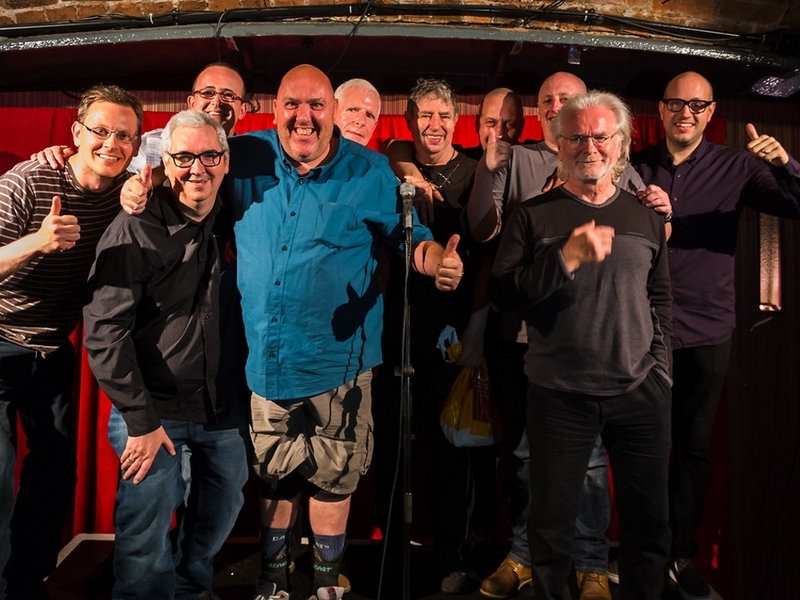 The Liverpool Irish Festival have been working with The Comedy Trust to engage local Liverpool, Liverpool Irish and Irish men in an NHS supported project called Feeling Funny; a seven week course in which participants work with stand-up and local legend, Sam Avery, to find ingenious, creative and hilarious ways of telling their stories. By doing so, they make friends, demystify challenging stories and access difficult emotions which are put to use in a positive way. By creating a friendly environment, in which to exchange stories and unravel feelings, participants have gained confidence, dealt with unresolved emotions and found new insights for their personal stories. If only we all had a Feeling Funny class to go to, right? This is a free opportunity to try something new, pit your wits and hone your hilarity, whilst all the time improving your health, wellbeing and mental attitude. Too good to miss? We think so. Not to long to sign up – don’t miss out! This course commences 6pm-8pm Tues 15 August 2017, then every Tuesday until 26 September 2017 at Merseyside Youth Association (Hanover Street, L1 3DY). If you would like to find out more please contact: Helen Holden, Project Manager, The Comedy Trust at [email protected] or call: 07593 042930 or 0151 702 5893 a.s.a.p. For a PDF about the course, click this link.